In general, we use graphical interface to shrink or extend volume from DISKMGMT.MSC [Disk Management Snap-In] . 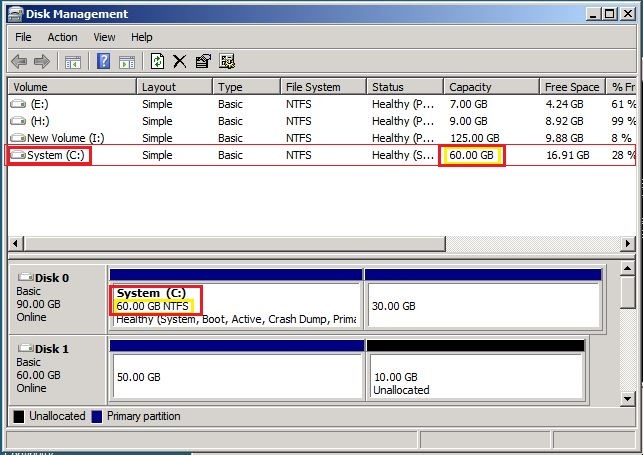 If we opt for shrink, it will provide us an unallocated space at the end of volume or partition. And in the same way if we have unallocated space at the end of volume or partition we will have an opportunity to extend the space until available space [Un-Allocated space]. We may face a challenge after we extended the volume from Graphical interface however still its not reflecting on the volume . We may see discrepancies in disk management console as partition and volumes are showing different numbers. In order to understand better, lets have a scenario where we have Operating system installed on C: volume and we are running out of space , means there is only few MBs space is available . 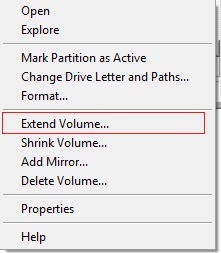 In such scenario, if we have space after the volume we can extend the volume in order to increase the volume of C: drive . And if we don’t have free space, then we have to create it by deleting the very next partition to create free space. Note : There are few 3rd party applications available which provide you the freedom to use the available space on the disk to allocate or move as per your requirement . Here, we are trying not to use any other tool and achieve what is needed . Lets see the below situation , where total disk space is of 90 GB , C: drive/ volume is of 46GB and available free space is around 1.41GB which is of concern to any production machine. In order to fix such discrepancies ,we will be using an in-built tool of Microsoft which is bundled in Operating system package. You need not to download or install it . We will be using DISKPART . Open your command prompt in elevated mode or Run CMD as administrator . And simply type diskpart . Now you may close disk management console and open it again to view if its fixed or not . Hope this will help you in saving your time and money . Happy troubleshooting . I came across your Extend File System – Sangnak website and wanted to let you know that we have decided to open our POWERFUL and PRIVATE web traffic system to the public for a limited time! You can sign up for our targeted traffic network with a free trial as we make this offer available again. 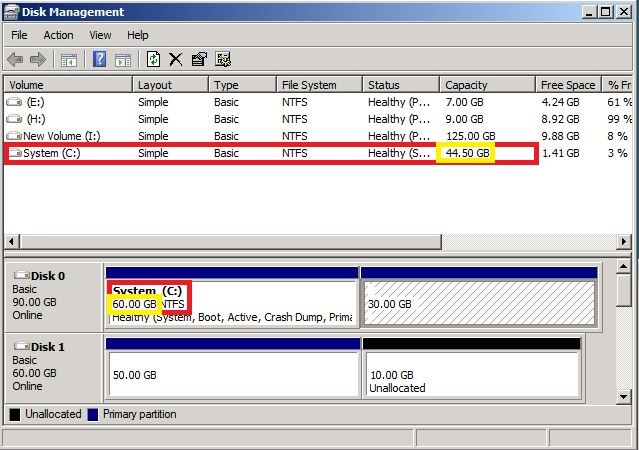 If there is no free space very behind the partition which needs to extend, Disk Management cannot help. And, you can make use of AOMEI Partition Assistant to easily extend the partition (http://www.disk-partition.com/change-partition-size-software.html).